Fish Sauce, also called Nam Pla in Thailand is a basic ingredient in Thai cooking. Available in a rich, translucent reddish-golden brown color it adds a unique character to Thai dishes. The characteristics of fish sauce are salty and aromatic. It is derived from fish which is the most important ingredient in Thai cooking. It is also very popular in other Far East cities such as Vietnam, Philippines, Burma and Cambodia. It is used as a marinade for fish and meat and sometimes as a condiment too. Thai’s add a little bit of fish sauce to their meals as a seasoning just as westerners do with salt & pepper. The essential savory flavor in Thai cuisine comes from the fish sauce. A premium fish sauce is made by carefully pressing salted anchovies. The complex flavor of fish sauce makes it blend well with other sweet and spicy flavours in Thai food. Fish sauce is an indispensable ingredient , just like salt is in western cooking and soy sauce in Chinese. 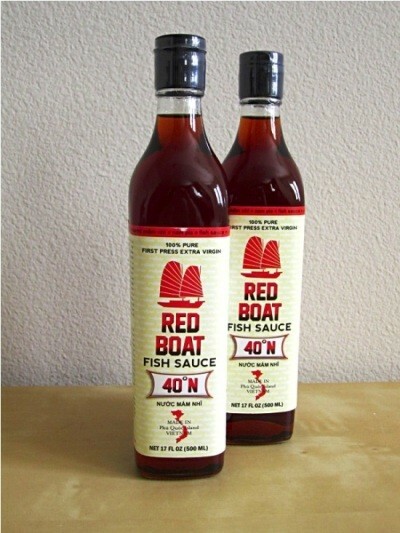 Quality fish sauce is vital for adding its own distinct aroma and flavor. Thai food would just not be the same without it; however soy sauce can be used as an alternative for vegetarians. Fish sauce is catching up in the West also. Werstern chefs call it the “go-to ingredient” when a dish is a little bland and the desired sync is not achieved, they will add this “wonder liquid.” The fish sauce with its pungent, tea-colored look adds aroma and a unique flavor to the cooking of Southeast Asian dishes. Fish sauces are made of a mixture of fish and salt that is allowed to ferment for 1 year to 18 months. The basic ingredients in a fish sauce include fish, water and salt. Sugar is not necessary. Surprisingly, a “vegetarian” fish sauce also exists. 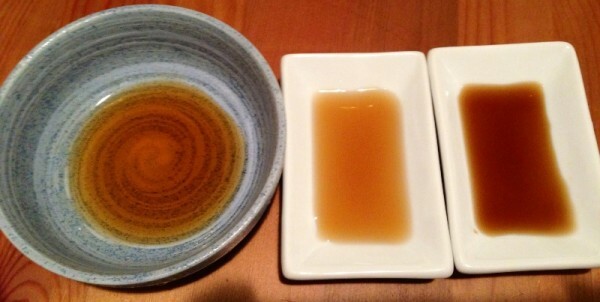 These are substitutes including Golden Mountain sauce or soy sauce. People with concerns about their sodium intake need not worry that fish sauce will be harmful to them. The sodium content in fish sauce is basic depending on the brand. The amount is distributed throughout the dish cooked and the intake will be relatively minimal. You can add a portion of the fish sauce in the recipe and top up the remainder with sea salt. Sea salt contains much less sodium than regular table salt. Good quality fish sauce not only works wonders on Thai food, it has high protein complete with all the essential amino acids that the body requires for growth and regeneration. When you plan a night out and dinner next time, try authentic Thai food from one of your city’s Thai restaurants. Thai fish sauce contains many essential vitamins and minerals and is especially high in Vitamin B and Iodine.